This scholarship is presented annually by the Houston Heights Woman's Club to a female law school student, preferably a second or third year student, who exemplifies the qualities of public service and commitment to social causes, especially those involving women. Candidates are asked to provide a brief statement describing their involvement in these initiatives and how they plan to continue this involvement in their legal careers. In 2019, the Houston Heights Woman’s Club will offer one scholarship for $2,500 to a female student pursuing a degree in law from either South Texas College of Law - Houston, University of Houston Law Center or Texas Southern University Thurgood Marshall School of Law and enrolled during the 2018-2019 academic year. 3. Service and commitment to social and/or civic activities. The 2018-2019 application period is now closed. We will not accept late applications. The awardee is notified by phone or email by March 11, 2019. Houston Heights Woman's Club will contact the awardee only. We are not able to contact each applicant regarding the status of her application. The award is disbursed to the awardee in one installment during the Houston Heights Woman's Club Founder’s Day reception at the clubhouse, located at 1846 Harvard Street, 7:00pm on March 28, 2019. The scholarship may be used for direct school expenses or for living expenses. As a suffragist and legal activist, Ward played a prominent role in the 1913 passage of the Married Woman's Property law, which gave women control of their separate property and wages, and in the passage of the 54-hour work week for women. 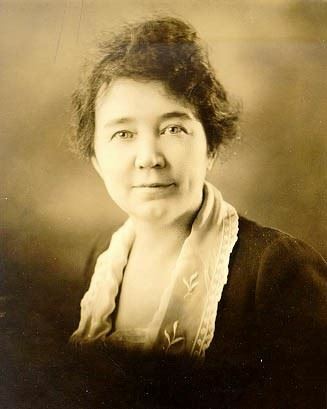 In 1918, she helped prepare the legislation for the primary suffrage bill and the Texas prohibition law. On June 27, 1918, Hortense Ward became the first woman in Harris County to register to vote.